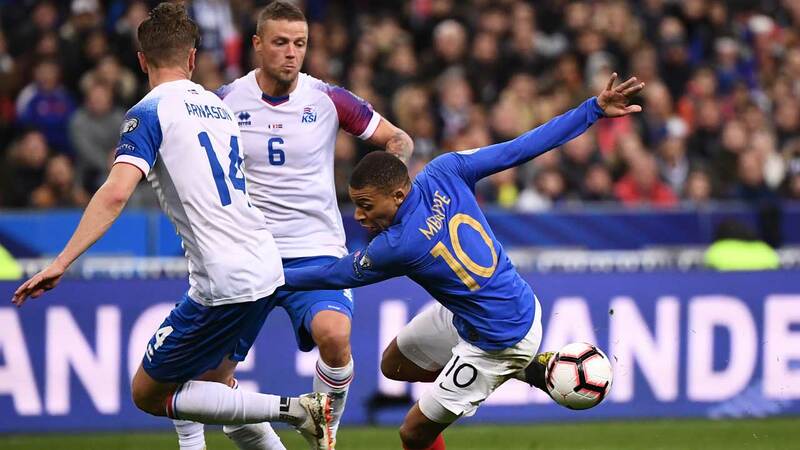 Kylian Mbappe scored one and set up two more as France routed Iceland 4-0 at the Stade de France on Monday night to move to the top of Group H in Euro 2020 qualifying. The result gives France six points from their first two matches and puts them ahead Turkey, who also won 4-0 on Monday, on goal difference. 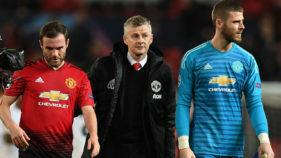 “It was our objective to take six points but the manner was good as well,” France manager Didier Deschamps told the post-match press conference. Deschamps praised his team’s “offensive efficiency” against a “dense” Icelandic defence. “When the opponent plays very defensively it can be very difficult to find a way through so that was a good sign,” said Deschamps, although he acknowledged that Icelandic fatigue near the end played a role. 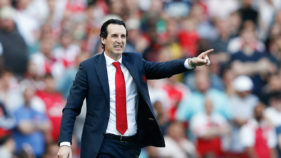 He added that he was pleased that all three strikers – Mbappe, Antoine Griezmann and Oivier Giroud – scored. From the start Mbappe’s movement mesmerised the Icelanders, though his contribution to the opening goal after 11 minutes was straightforward. The visitors cleared a corner only as far as Benjamin Pavard. The right back switched the ball to Mbappe, alone on the left. 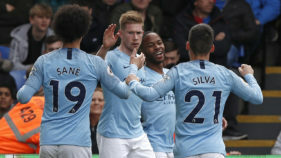 The young star had time to aim his cross which Samuel Umititi met at the near post with a header that glanced off the inside of the far post and into the goal. Four minutes later, Giroud almost headed another, from a cross by Pavard, but Hannes Halldorsson leapt and stretched to palm the ball over. For the next 45 minutes, France, who have never lost to Iceland, gave the impression that they had slipped down a couple of gears and were content to take the long-range shooting opportunities the packed Iceland defence was allowing. Iceland meanwhile worked courageously and managed to force the occasional small threat. After 68 minutes, Iceland were again punished for failing to put distance on a clearance. France moved the ball to Pavard who swerved a cross in from the right that lured Halldorsson into a desperate dive for a ball he could not reach. Giroud kneed the ball into the empty net for his 35th France goal. That moved him into third on the all-time list of France scorers, breaking a tie with David Trezeguet. The Chelsea striker trails only Michel Platini, on 41, and Thierry Henry, the all-time leader on 51. Gaps began to appear in the Iceland defence. “As long as its 1-0 we have a chance, but after 2-0 we had problems,” Hamren said. Mbappe added a third after 78 minutes. Griezmann slipped a pass between two defenders to the advancing Mbappe who shrugged off a timid challenge and slid the ball past Halldorson. Six minutes later, Mbappe returned the assist with a neat backheel that sent Griezmann scampering through the frozen Icelandic backline to poke the ball into the corner of the goal. The defeat continued a miserable run for Iceland whose victory in Andorra on Friday was their only victory in a competitive match since November 2017. France’s next game is away to Turkey on June 8. On the same evening Iceland host Albania.”We’re not yet qualified and the next game against our friends the Turks will be hot,” Deschamps warned.